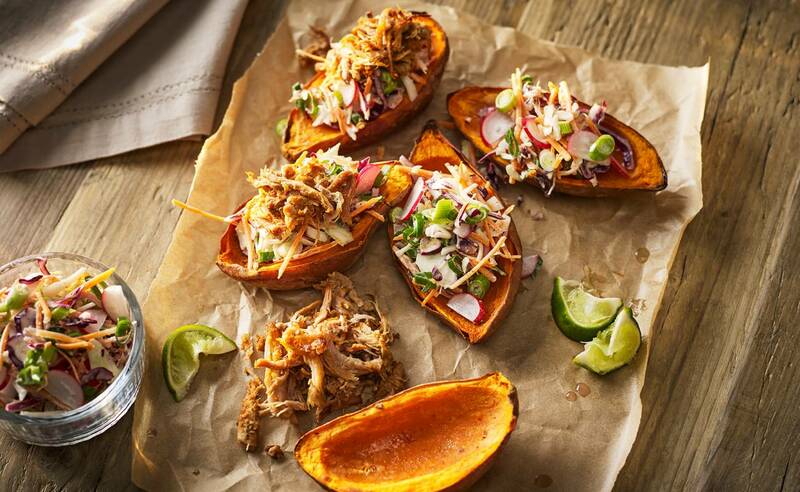 Go for something a little bit different with our scrummy sweet potato skins. We scoop out the middles, giving you room to fill them with an array of tremendous toppings. Serve them as a starter or as part of a sharing platter for maximum impact.